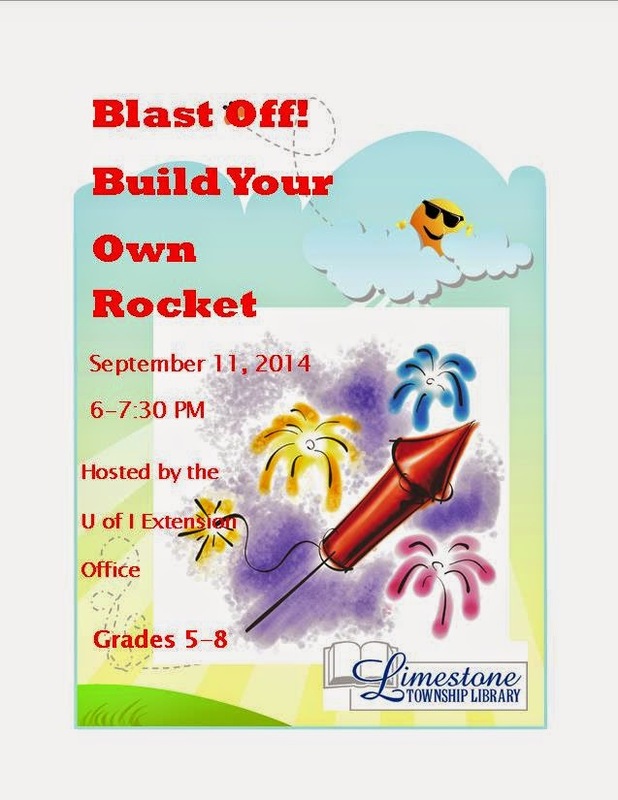 Would you like to Build Your Own Rocket? If you are in grades 5-8, call us to register for this exciting opportunity. We will meet at the library on Thursday, September 11, 2014 from 6-7:30 PM. The program is hosted by the U of I Extension Office.